All Roads Lead To KindieComm! Well, spiritually at least. But in reality here’s how to get to World Cafe Live/WXPN – home to KindieComm 2016! If you’re traveling via train, you’ll be arriving at 30th Street Station (Philly’s Amtrak hub) and KindieComm is a just a few blocks away — about a 5 minute walk. Exit via the 30th Street exit – cross Market Street and walk down 30th Street two blocks to a dead-end. This is Walnut Street. Make a right and we’re half-way up the block. 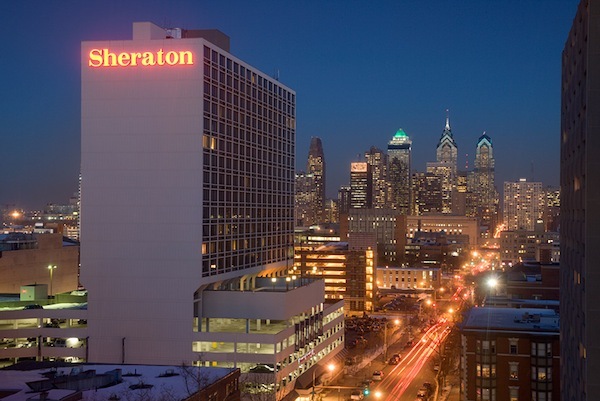 For those staying at our host hotel – the Holiday Inn Express in Center City Philly (what we call our ‘downtown’), you have a few options. Both the Hotel and KindieComm are located on the same street: Walnut Street, so you can grab a cab, take the bus or even walk. You should be able to flag a cab right outside the hotel — check with the front desk, as they might have a blue light to make summoning a cab even easier. Once inside – tell them you’re going to “World Cafe Live at 30th and Walnut”. There’s a loading zone out front where they can pull up to drop you off. Cost will be – with tip – under $10. SEPTA is our public transit company and you can catch one of two busses direct to KindieComm – just steps away from the hotel entrance. Once you exit the hotel – turn right and walk about a half-block. You’ll cross a small street (Juniper St) and after, you’ll see a bus shed that you can wait for the next #21 or #42 bus. The route number is clearly marked on the front and side of the bus (see yellow circles in the photo). The fare is $2.25 – so depending on how many are traveling – you can decide if a bus or a cab is more practical. Once on the bus – tell the driver you need to get off at 30th & Walnut… most buses will automatically call out each stop as it approaches — so if you want a ‘warning’ … listen for “23rd Street” … as the next stop will be 30th Street once the bus crosses over the Schuylkill River (pronounced skool-kil). Once off the bus, turn left and you’ll see World Cafe Live straight ahead. If you want a bit of morning exercise, walking to World Cafe Live is a nice stroll – takes about 15-20 minutes from hotel door to KindieComm … straight up Walnut Street. As you’ll see upon reaching the river, a new skyscraper is being built at the corner of 30th and Walnut (everyone wants to be near us – we’re where the star is below!) … so the sidewalk is closed on that side as you pass. No worries, you’ll be able to cross over Walnut Street and then back over again to reach World Cafe Live (there’s signage). If you’re driving – you can park on the street (meter parking with kiosks) or in a lot for a flat rate.